I started this back in 2012, right when I was getting severely sick, and put this on hold. I discovered a saved draft of this while getting this blog up and running again, and decided to finish it, up to the 2012 draft. Here’s Part 1, from 1990-1999. As I was watching last night’s Stanley Cup Finals game I noticed a Gionta on the ice and got a bit perplexed. While Brian Gionta certainly used to play for the Devils, he has since moved on to become the captain of the Montreal Canadiens. It was then that I remembered that Brian Gionta has a brother, Stephen, who seemingly came out of nowhere to become a key member of this years Stanley Cup Finalist New Jersey Devils squad. This particular Gionta went undrafted and has currently only played 13 NHL regular season games, amassing 1 goal and 6 PIMS. This certainly doesn’t look like a player to pay attention to, yet the Devils clearly saw something in him when they signed him after he graduated from Boston College. The Devils investment has payed off as the diminutive Gionta has played 23 playoff games this year, tallying 7 points and providing a much needed spark to a surprising Devils team. When I thought of Stephen Gionta I wondered how a player like this can go overlooked for so long and even get passed over repeatedly on draft day. You hear of it all the time, some of the greatest players in the history of the game have gone low in the draft or may have not even been drafted at all. Names like Curtis Joseph, Henrik Zetterberg, Doug Gilmour and Ed Belfour come to mind. These are clear examples of draft position not necessarily determining a players career. However, on the other end of the spectrum there are highly touted players up for draft every year that do not turn out as expected. Who knows, maybe Nail Yakupov, the highest ranked eligible player for draft this year, could be a complete draft bust. Which brings to mind, who are the biggest draft busts in NHL history? This thought came to me and I decided to compile a little list, giving in my opinion the worst 1st round pick from every year from 1990-2012. So, ladies and gentlemen, here are the worst of the best. The 1990 NHL Entry Draft was expected to be a fairly deep draft and it proved to be just that as superstars such as Owen Nolan, Keith Primeau, Jaromir Jagr and Martin Brodeur were all picked in the very 1st round. In fact, the draft order went like this. Nolan, Nedved, Primeau, Ricci, Jagr, Scissons. Now, you may be asking who in the world is Scott Scissons? That happens to be a very valid question since Scissons played a grand total of 2 games with no points or penalty minutes in the NHL after being drafted 6th overall by the New York Islanders. When the Isles drafted Scissons they were expecting a rough and tumble prairie boy with a penchant for the net, not the 2 game wonder that he ended up being. After scoring 87 points for his hometown Saskatoon Blades in his draft year, these were some fairly reasonable hopes the Islanders had. However, things were not meant to be as Scissons never caught on in the NHL, ended up playing more IHL games than anything else and was out of hockey by 1995. Players drafted after Scissons include Cup champions Darryl Sydor, Derian Hatcher, Martin Brodeur and Brad May. Needless to say, I’m sure the Islanders wish they could turn back the clock and draft any of these players, actually, pretty much any player other than Scott Scissons. First and foremost, the 1991 draft is best known for being the year that the Quebec Nordiques drafted Eric Lindros 1st overall and were forced to trade him for a boatload of assets since he refused to play for the team. Things all worked out in the end for the Nordiques of course since Peter Forsberg was the main player they got back in the deal, they won the Stanley Cup shortly after, and Lindros was riddled by injuries and ended up being a bit of a disappointment. 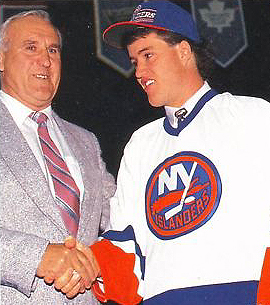 However, Lindros was not the draft bust of 1991, far from it. That “honour” belongs to Windsor, Ontario native Alek Stojanov, better known as being the player that the Vancouver Canucks traded to Pittsburgh for future captain Markus Naslund. Stojanov was a bit of a wild card when the Canucks drafted him 7th overall after scoring 45 points in 62 games for the OHL’s Hamilton Dukes in his draft year. His point totals were not that impressive although the ‘Nucks were clearly hoping for a power forward type when they drafted the 6 foot 4, 232 pound Stojanov. Power forwards typically develop their scoring side a little after their physical side so the Canucks were probably not too worried since Stojanov provided 45 points along with 179 PIMS. Unfortunately for Vancouver, that offensive side never really developed. Stojanov recorded a whopping 1 assist in 62 games for the Canucks before being shipped off to Pittsburgh. He spent a couple of seasons with the Penguins before being out of the NHL after the 96-97 season. He finished his NHL career with 107 games played, 2 goals, 5 assists and 222 PIMS. He was last seen in the hockey world playing for the New Mexico Scorpions of the Central Hockey League during the 01-02 season. Players chosen after Stojanov include Brian Rolston, Alexei Kovalev, Naslund, Ray Whitney and Mike Knuble. Yikes. Poor, poor Ryan Sittler. Son of Leafs legend Darryl Sittler, Ryan didn’t exactly have the same illustrious career as his Hall of Famer father. Sittler was most likely a victim of being related to one of the greatest men to ever play the game and was overrated as a player. 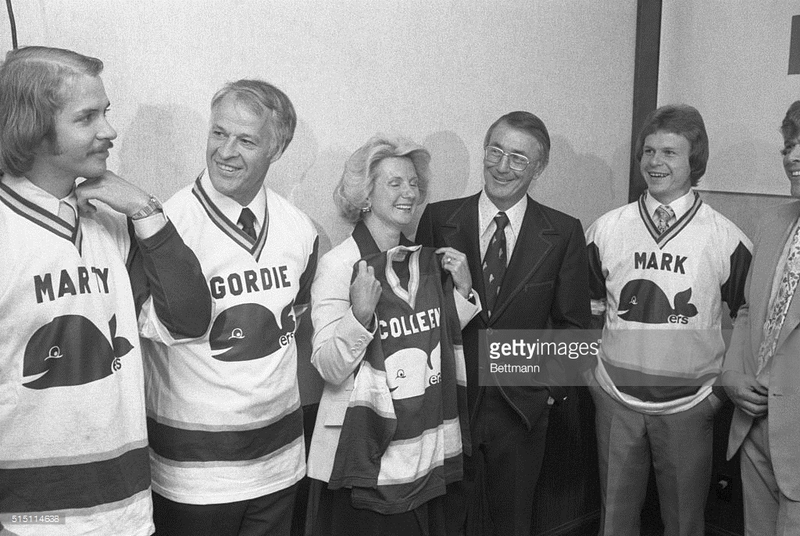 This particular draft features major busts like the Leafs Brandon Convery, Edmonton’s Joe Hulbig and Buffalo’s David Cooper, but Philadelphia’s choice of Sittler at 7th overall takes the cake. Ryan Sittler was a decent left winger for the University of Michigan before making the jump to the AHL’s Hershey Bears where it became clear that he was not capable of playing in the NHL. He recorded 2 goals and 7 assists in 42 games his first year in Hershey and soon found himself playing for various teams in the ECHL including the Mobile Mysticks and Raleigh Icecaps before reemerging in the AHL for a couple more seasons. Sittler last played for the ECHL’s Charlotte Checkers in the 98-99 season. 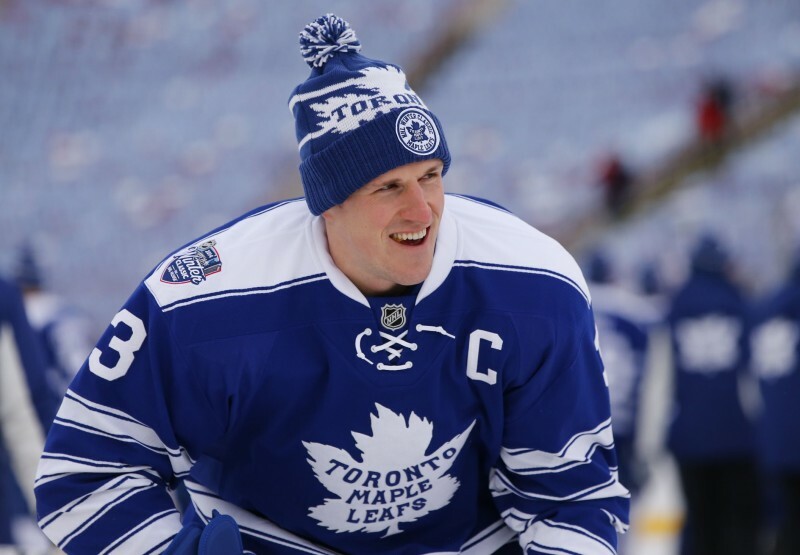 He played a grand total of zero games in the NHL while players drafted after him include 1000 gamers Sergei Gonchar, Jason Smith, Kirk Maltby and Adrian Aucoin. If anything, Ryan Sittler’s hockey career shows that sometimes the apple falls REALLY far away from the tree. 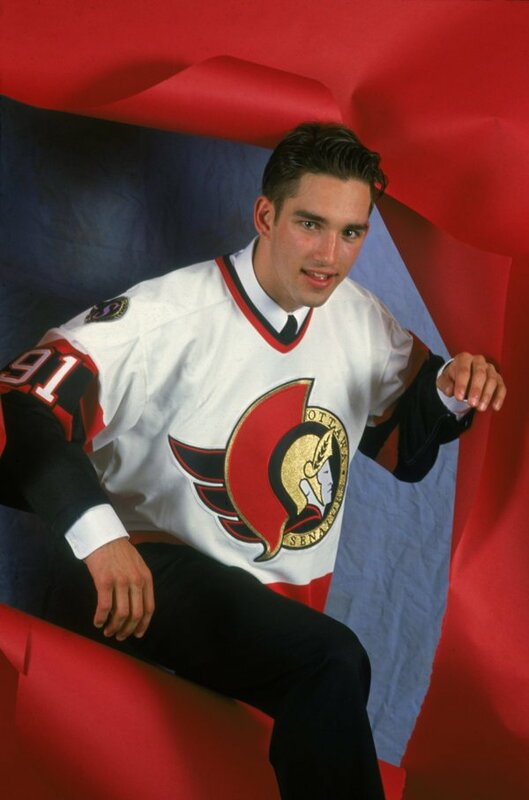 Arguably the biggest and most famous draft bust in NHL history, the Ottawa Senators decided to make Victoriaville Tigres sensation Alexandre Daigle the 1st overall pick of the 1992 NHL Entry Draft. While others in the 1st round played less games than Daigle’s 616 and had less points than his 327 there is little question that Daigle surpasses the likes of Jesper Mattsson and Nick Stajduhar as the years biggest bust. Alexandre Daigle exploded into the hockey world, tallying 137 points in 53 games during his draft year and was even compared to the great Rocket Richard. Yeah, uh, didn’t happen. Daigle had a solid NHL career if he was drafted in say the 5th round. However, he was drafted 1st overall and therefore was expected to play like a legend. 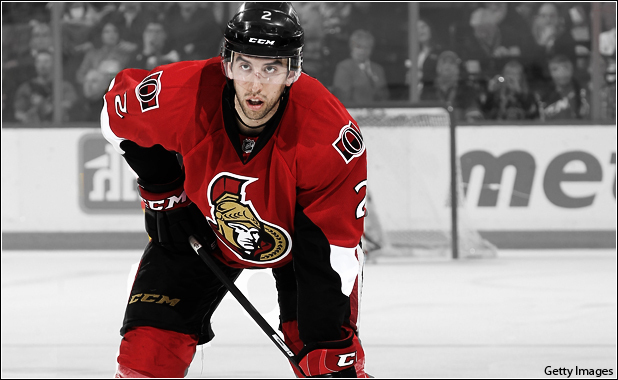 Unfortunately for Daigle he was surpassed by the likes of Daniel Alfredsson and Alexei Yashin as Ottawa’s next great hope and was sent packing to the Flyers. From there he bounced around unsuccessfully from Philly to Tampa to New York to Pittsburgh to Minnesota. Throw in some minor league action and a 2 year stint where he decided to pursue and acting career and forgo hockey and you’ve got the gist of his career. He did win the Bill Masterton Memorial Trophy after his first season with the Minnesota Wild, Daigle ultimately flopped again, winding up his career in the Swiss League. So much for the guy who proclaimed that he was glad to go first overall since “no one remembers who went second.” Say that to the guy drafted after Daigle, a Mr. Chris Pronger. Enough said. Among those drafted after Daigle include, Pronger, Paul Kariya, Jason Arnott, Saku Koivu, Bryan McCabe and Hal Gill. Oh boy, this was a tough one. While this draft did have its gems, Ed Jovanovski, Ryan Smyth and the like, it also had a shocking amount of draft busts. 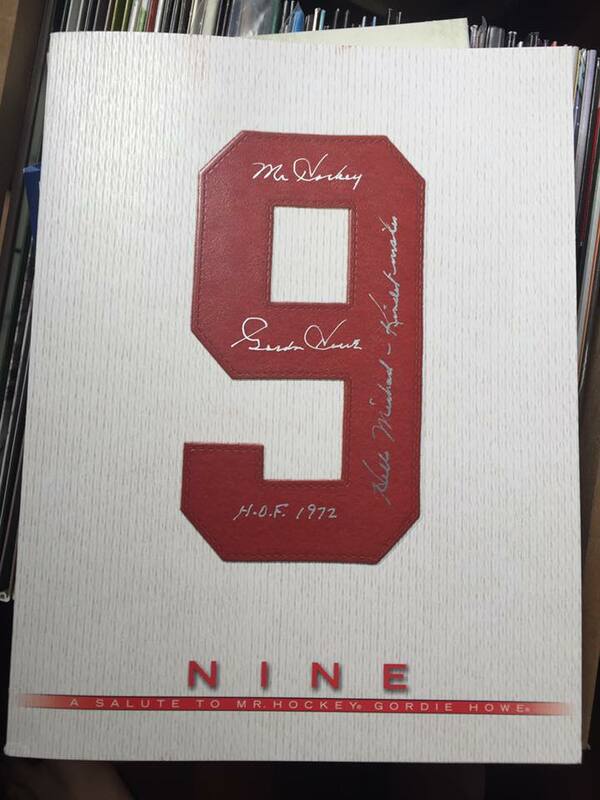 And I’m not talking about an Alexandre Daigle type bust where the player went on to have a decent NHL career. I’m talking about disgustingly bad draft picks. The kind of picks that cost GM’s and scouts their jobs. The likes of Jamie Storr, Brett Lindros, Nolan Baumgartner, Wade Belak, Alexander Kharlamov, Eric Fichaud, Brad Brown, Chris Dingman, Jason Botterill, Evgeni Ryabchikov, Jeff Kealty, Yan Golubovsky, Chris Wells and Vadim Sharijanov were all drafted in the 1st round. Needless to say, this was a beyond awful 1st round. But the dubious honour of worst of the worst belongs to Edmonton Oilers draft pick Jason Bonsignore. Drafted 4th overall, Bonsignore had a few successful years in the OHL which led to the Oilers taking an interest in him. He was considered a can’t miss prospect, someone to build your team around. Didn’t happen. Bonsignore played 79 games in the NHL scoring only 3 goals and 13 assists for the Oilers and Lightning. He did play in the AHL, IHL and ECHL for a number of years along with stints in Switzerland and Finland. He last played hockey for the Trenton Devils of the ECHL in 07-08. Personally, I would have picked Jeff O’Neill, Ryan Smyth, Mattias Ohlund, Patrik Elias, Sheldon Souray or Chris Drury over Bonsignore, but it’s obviously easy to look in retrospect. At the time, the Oilers picked a top prospect who unfortunately didn’t end up working out for them. 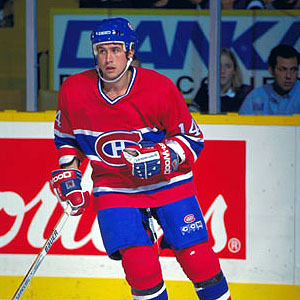 Another tough choice with Steve Kelly, Jeff Ware, Teemu Riihijarvi and others in the mix, but the Montreal Canadiens choice of Terry Ryan at 8th overall is 1995’s biggest draft bust. Terry Ryan was a high scoring left winger from the WHL’s Tri-City Americans yet his career was unexpectedly derailed by inconsistency and an ankle issue that caused early retirement. Ryan played only 8 games in the NHL, all with the Canadiens, and spent the majority of his short career in the AHL and other minor leagues. Rubbing salt into the Canadiens wound was the fact that the likes of Jarome Iginla, Kyle McLaren, JS Giguere and Petr Sykora were all picked later on in the round. 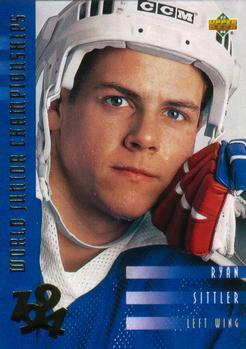 However, Ryan did have a relatively successful ball hockey career, even representing Team Canada on multiple occasions. Not quite the NHL, but hey, it’s something. 1996 was a very hit or miss year when it came to the draft. On one hand the draft launched the careers of Zdeno Chara, Chris Phillips, Derek Morris, Daniel Briere and Pavel Kubina, yet it also left you with duds such as Jonathan Aitken, Dan Focht, Josh Holden, Matthieu Descoteaux and the grand daddy of them all, Alexandre Volchkov. Drafted 4th overall by the Washington Capitals, it is easy to stereotype Volchkov as the stereotypical skilled, yet lazy Russian with a severe attitude problem (see: Yashin, Alexei). While it is somewhat unfair to make this assumption, if you did happen to guess Volchkov was a Nikita Filatov or Nikolai Zherdev, you were absolutely right. Volchkov actually came and played junior hockey for the Barrie Colts of the OHL, prompting scouts to believe that he was committed to playing hockey in North America. A skilled Russian with offensive flair, Volchkov parlayed decent numbers for the Colts into a playoff call up to the Portland Pirates of the AHL. Aside for 3 NHL games, that was as far as his hockey career would ever go. He left North America to play in Russia in 2000 and was essentially never heard from again. Good choice, Caps. Not to be mistaken with Keith Tkachuk, Daniel Tkaczuk was Calgary’s first choice, 6th overall. 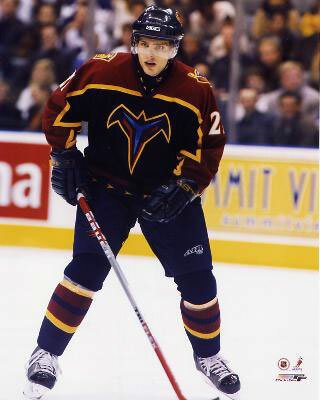 He was the second best player on his team in the OHL, the Barrie Colts, ironically under 1996’s biggest bust Alex Volchkov. Tallying 105 points in only 58 games in his last junior season, the Flames were expecting Tkaczuk to rip up the NHL. Well, that didn’t happen. Tkaczuk just couldn’t seen to catch a break, only playing 19 NHL games despite tallying 11 points in limited action. Traded to St. Louis in the deal that brought Roman Turek to Calgary, Tkaczuk never played a game for the Blues despite retaining status as a top prospect. 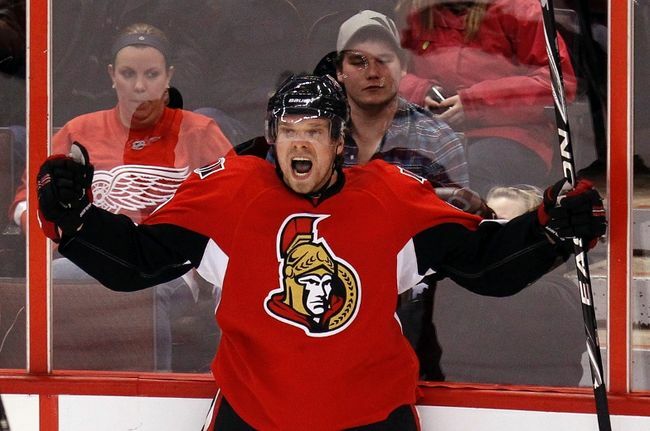 Tkaczuk was the victim of bad luck, never getting a real shot at the NHL before he decided to ply his trade in various European leagues including a three year stint in Germany before returning to North America in 2009, hoping for one last shot at the NHL. Tkaczuk never got his wish as he only played 12 AHL games and 46 ECHL games before ending his career in 2011 as a member of the Nottingham Panthers of the EIHL. Smarter draft choices would have been Marian Hossa, Brenden Morrow, Daniel Cleary, Henrik Tallinder, Matt Cooke and Brian Campbell. While not an overall great 1st round, this was still an easy choice. 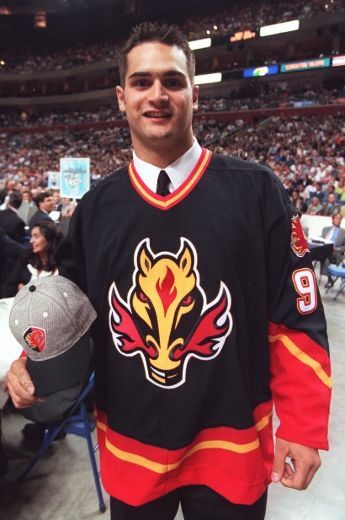 Another massive mistake by Calgary, Rico Fata went 6th overall in the same draft that saw Tampa Bay grab the one time face of their franchise, Vinny Lecavalier. Fata broke into the OHL as a 15(!) year old with his hometown Sault Ste. 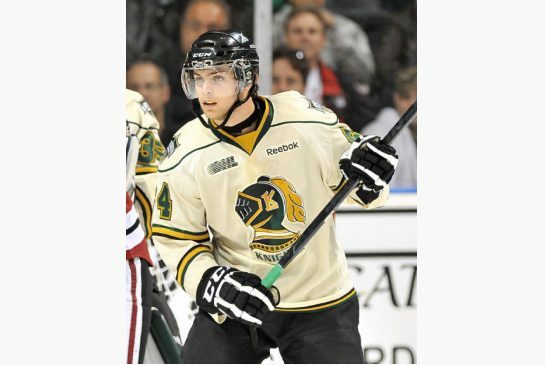 Marie Greyhounds and the next year was selected 1st overall in the OHL draft by the London Knights. He was part of a very good London team that ended up in the Finals the year after Fata was drafted, with Rico helping lead the way. He had 76 points in 64 games to go along with 110 PIMS in his draft year, endearing himself to the Flames brass with his scoring abilities and his penchant for playing well above his 5″11 stature. Once drafted, a terrible Flames team tried to rush him to the NHL, playing him in 20 games before sending him back to Junior. He recorded 1 assist in his time with the Flames, an early omen regarding his future NHL career. He bounced between Calgary and the AHL for the next 2 years, ripping up the AHL, but unable to maintain a spot on the NHL roster. Over the next few years he was claimed on waivers 3 times and traded once, as a piece of what brought Alexei Kovalev to the Rangers. Fata was out of North American hockey by 2006, after failing to catch on with the Washington Capitals. 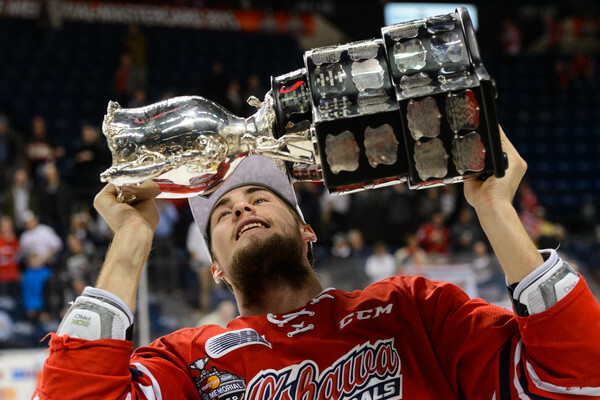 He totaled 230 games played and 63 points for 5 different NHL teams before spending time in Germany, Switzerland and Finland, wrapping up what was once a beyond promising career in 2013-2014 with HIFK Helsinki. What’s funny is the fact that the guy that was drafted directly after Fata, Manny Malhotra, was considered to be a bust on par with Fata around the same time Fata was disappointing Calgary fans. Malhotra salvaged his career with the Columbus Blue Jackets, turned into a reliable two-way player with a scoring touch and immense skills in the face-off and penalty killing department, and played with Montreal last year, becoming a massive success story after nearly losing an eye as a member of the Vancouver Canucks. This draft’s 1st round is littered with players like Malhotra, decent to very good NHLers like Mike Rupp, Nik Antropov and Robyn Regehr, and even the occasional borderline star like Simon Gagne and Alex Tanguay. And every single one of them was picked after Rico Fata. Nice job, Calgary. Tkaczuk and Fata, two years in a row… Ugh! Oh man. Oh man, oh man. Where do I start here? To start, there are worse players than Patrik Stefan that were 1st rounders in ’99 and quite a few total busts. This was the year that guys like Pavel Brendl, Brian Finley, Kris Beech, Jamie Lundmark, Scott Kelman and Denis Shvidki were picked. And I could go on and on about those players and a number of others from this draft. These guys make Taylor Pyatt, picked 8th overall that year, look like a living legend. Sedin’s aside (we’ll touch on that later), this 1st round is remembered for all the wrong reasons. Even though all of these players had far worse career numbers than Stefan, not one of them flamed out as spectacularly and as hard as him. Patrik Stefan was the 1st ever selection made by the expansion Atlanta Thrashers and was touted as the face and star of the franchise, right from the get go. It was hype that he had no chance of living up to. He came over to North America from the Czech Republic at only 17 to play pro hockey in the now defunct IHL for the Long Beach Ice Dogs, and averaged over a point per game in his draft year, playing against grown men in a league equivalent to the AHL. He was touted as a future star, compared to Mike Modano and Sergei Fedorov, and as his Ice Dogs coach, John Van Boxmeer said, “He is going to be a dominating, play-making center. He is a guy who looks to make the play rather than shoot himself. He’ll be a guy who can get 100 assists and 20-25 goals in the NHL.” Stefan’s best totals came in 2003-2004, when he recorded 40 points in 82 games. He was out of hockey altogether just 4 years later. So what happened? It starts with Brian Burke, then GM of the Vancouver Canucks. He famously orchestrated a deal with Thrashers GM Don Waddell that saw Vancouver trade the 1st overall pick to Atlanta for the 2nd overall pick and a 3rd rounder the next year. Why? Burke wanted the Sedin twins, and gave Waddell the 1st overall with the promise of Atlanta not taking either Sedin. Looking back, Don Waddell probably should have told him to shove it. Stefan actually put up decent numbers his first couple of years, considering he played for an awful expansion team, but consistently fought injury problems that would haunt him for the duration of his career. He looked like he was coming through after his “breakout” year of 03/04, but after the lockout and an injury plagued return year, Atlanta decided to cut their losses and sent him to Dallas. It was with Dallas that Stefan would solidify his place as an Alexandre Daigle caliber bust. Click this YouTube link at the end of the Stefan section. Just do it. Chances are you’ve seen it before, since it is probably the dumbest thing that anyone’s ever done on ice. For those that don’t know and didn’t click the link, it was January 2007 and Dallas was ahead of Edmonton by 1, late in the 3rd period. Stefan got sent on an open break after the Oilers had pulled their goalie. He missed. Actually, that’s the understatement of the year. He skated lazily toward the net, tripped over himself, missed and coughed the puck up to Edmonton, and Ales Hemsky ended up tying the game with 2 seconds left. Yeah. It looks as bad as it sounds. 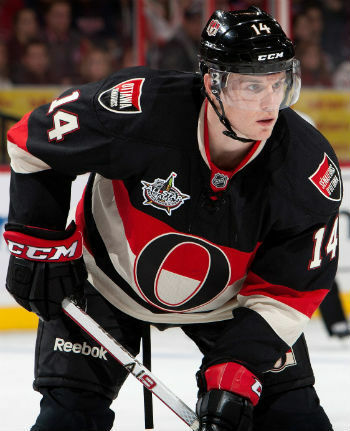 Unsurprisingly, this was the last year that Patrik Stefan would ever play in the NHL. He spent 3 games with SC Bern in Switzerland the next year before retiring due to injuries. Well, that and I assume the fact that literally no team wanted him. Statistically, he is the worst 1st overall pick of all time, below Brian Lawton, Doug Wickenheiser and Daigle. There’s a reason the Atlanta Thrashers don’t exist anymore and why Don Waddell is no longer an NHL GM. Better choices would’ve been the Sedin’s, Barret Jackman and Martin Havlat. Hell, I would’ve been happier with Pavel Brendl, at least that flame out was completely expected. WOW, thought I uploaded a while ago but I guess it didn’t work… So here it is! Today was the annual Bills in Toronto game, so as a Torontonian I had to go if I wanted to catch any NFL action at home this year. The Bills were god awful and ended up getting destroyed by Seattle 50-17. Just like everyone else, Ryan Fitzpatrick’s miscues and Buffalo’s horrid defence caught my eye, but I honestly did not head to the Rogers Centre today to see the Bills. I went to see one of the most surprising teams in the entire league this year, the Seattle Seahawks. Everyone remembers the controversy surrounding the Seahawks back in Week 3 with the whole Golden Tate and replacement ref fiasco during the game against Green Bay. Back then no one took Seattle seriously as a team, laughing at their undersized rookie QB, Russell Wilson, and not giving them a snowballs chance in hell on contending for the Super Bowl. Most didn’t even consider them to be playoff contenders. How things can change so much in so little time. Fast forward to Week 15 and the Hawks are 9-5 on the year and hold a playoff wild card spot. Their leader? None other than Russell Wilson himself, all 5-11 of him. Russell Wilson has steadily made a name for himself all season long, pulling off huge wins against the Packers, Patriots, and Bears earlier on in the year, but his real coming out party has been the past two weeks. Coming off of last weeks 58-0 steamrolling against Arizona, not many people expected Wilson and company to replicate that game. So of course Seattle comes out to Toronto and destroys Buffalo 50-17. That’s 108 points scored and 17 let up in two games. They became the third team in NFL history to record 50+ points in consecutive weeks and the first in over 60 years. Suddenly the Seahawks are the talk of the league and third round pick Russell Wilson is Seattle’s hero. Wilson has been the difference maker this season, especially the last couple of weeks. Today he rushed for his first three TD’s of his young career and he also threw for another TD in the half, becoming the first player ever to accomplish such a feat. Although undersized and not as big of a name as an Andrew Luck or Robert Griffin III, Wilson is winning games at the NFL level and powering Seattle to what looks to be a playoff spot. Seattle is a decent team even without Russell Wilson. Guys like Marshawn Lynch, Sidney Rice, and Earl Thomas highlight a good Seahawks squad. However, the glue that is keeping the team together is Wilson’s consistency and his ability to pull out wins, particularly in close game scenarios. Without Wilson, Seattle would be struggling to squeeze into the playoffs, statistically speaking. Not to offend Matt Flynn, but I highly doubt that the Seahawks would win close games like the Patriots and Packers tilts without Wilson. That is what separates him from a lot of other QB’s and why Seattle is emerging as a legitimate Super Bowl contender. It’s his drive and will to win that propels his team into victory. The Seattle Seahawks have officially taken flight, the rest of the league has started to notice, and it’s all thanks to one of the top young quarterbacks in the game, Russell Wilson.